According to Victor Hugo a French poet, ‘’There is nothing like a dream to create a future’’. 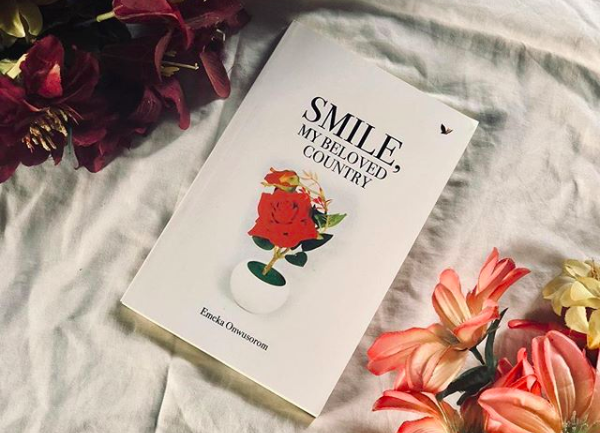 This inspiring quote clearly depicts the plot in Emeka Onwusorom’s compelling read, Smile My Beloved Country. In this book, the author tries to foresee a better future for Nigeria especially as it concerns her democratic process. Indeed, this book arouses the imagination of the reader and fills it with the portrait of a Country, mainly composed of conscience-driven individuals that are willing to put their selfish interests aside to contribute their quota to the development of their beloved country, Nigeria. Though this seems highly impossible in the present day Nigeria, this book still relays a message of hope to those Nigerians that have completely lost faith in the political, social and economic capabilities of the country. The book focuses on the life of a patriotic Nigerian, Ayo Musa Okeke and his spontaneous rise from being a base in United States agricultural professor to a democratically elected president of Nigeria. Also, it gives an insight into how Ayo was able to overcome the uncertainties and rigours that characterise Nigeria’s political culture. First, the book reveals our numerous failures as a Country, mostly our untapped Human Resources from Nigeria, many of whom have sought for greener pastures in developing economies and have redirected their efforts to these countries. It also showcases the level in which corruption has permeated the Nigerian society, thereby overshadowing our basic norms and values. Nevertheless, this captivating book will surely awaken the spirit of patriotism and nationalism in readers and urge them to imitate the character of the main protagonist, which is to perform their civic duties diligently in order to save the country from deteriorating further. This book is quite apt as we face another electioneering period in the next few months. It will go a long way in dissuading the masses from being swayed by politicians with misguided manifestos, false campaign promises and meaningless political mantras. Rather, it will inspire them to choose political leaders that are young, intellectually sound, humane and who will help the country to find its place in the committee of developed nations. If we can achieve this as a country, then Nigeria and her teeming population will truly smile.